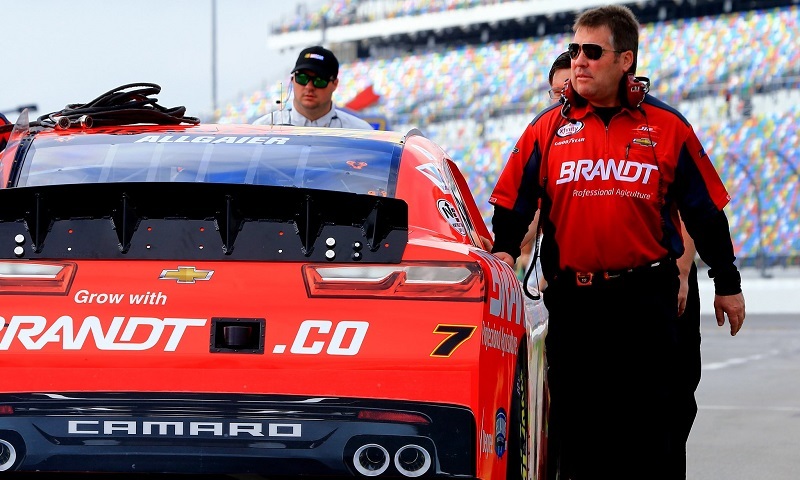 MOORESVILLE, N.C. – JR Motorsports announced Tuesday that veteran car chief Billy Wilburn will serve as Justin Allgaier’s interim crew chief for Saturday’s season-ending Ford EcoBoost 300 at Homestead-Miami Speedway. After serving as car chief with the No. 7 team for the past four seasons, Wilburn will step into the role normally occupied by Jason Burdett, who is serving a one-race suspension after the No. 7 car did not clear post-race inspection at Phoenix Raceway. JR Motorsports elected not to appeal the penalty announced by NASCAR on Monday. Wilburn is a native of Tempe, Ariz., and is a 33-year motorsports veteran. He previously held crew chief roles at Penske Racing, Richard Petty Motorsports and Robert Yates Racing, and has also served in various positions with Hendrick Motorsports. Allgaier is one of four drivers eligible to compete for the NASCAR XFINITY Series title as part of the Championship 4 this weekend, which also includes JR Motorsports teammates William Byron and Elliott Sadler, as well as Richard Childress Racing’s Daniel Hemric. Saturday will mark Allgaier’s second-consecutive appearance in the Championship 4.